Its been a ridiculously busy year! 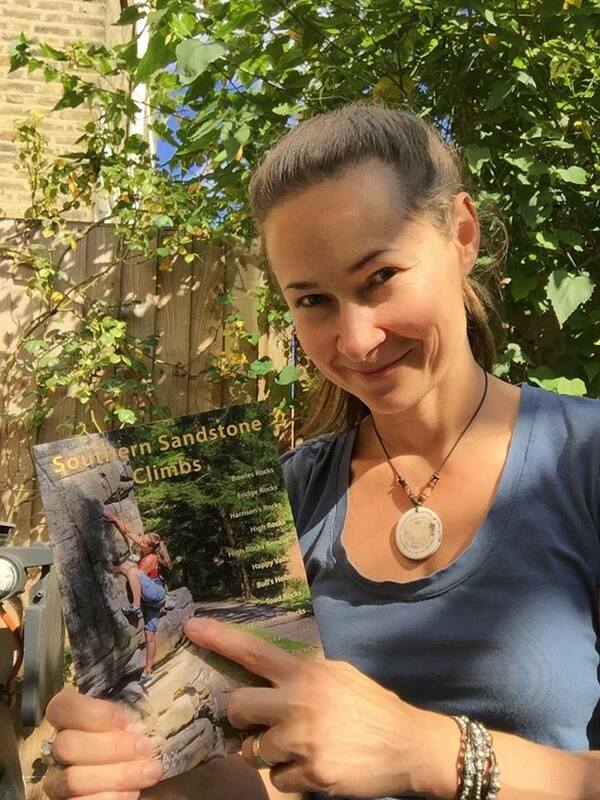 Especially so with the release of the new Southern Sandstone Climbs Rockfax Guidebook in September. Many people received their copies throughout September and October and many more have ordered theirs for Christmas. Special thanks once again to everyone who was involved in the new guide and helped make the book possible, no matter how big or small your contribution. The picture opposite is of Simona Koplin who was photographed for the front cover as well as inside the guide. A full review of the guide by Tom Gore can be found here, as well as the book featuring as part of UKC's Rob Greenwood's christmas reading recomendations. We would like to thank everyone who has supported us over the past year, by sharing news stories and reaching out to us. In addition, we would like to thank everyone who has been out on the rocks supporting the HRMG / BMC and SVG at crag and woodland management clear-ups this year. A big thank you to everyone who has been going the extra mile to help protect the rock whilst out climbing by following that all important code of practice! It's important and please help spread the word where possible. Very soon we will see the conclusion to the Isolated Buttress big question and I'm sure many of you will be out next year exploring and enjoying sandstone, just make sure its dry enough before venturing out! We are also going to be making some changes to the website by expanding a number of items to help create a better and more informative experience. Cheers and Merry Christmas and a Happy New Year!